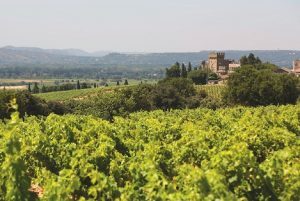 Join National Travel Editor of Escape* Jana Frawley, and Editor in Chief of Delicious magazine Kerrie McCallum on an exclusive culinary experience cruising in luxury through the stunning south of France with Scenic Luxury Cruises & Tours. With two of Australia’s premier food and travel experts on board, explore the unforgettable secrets of one of the world’s most popular foodie destinations on this special journey on our 13 Day South of France river cruise in April 2019. Journey highlights will include a pre-dinner cocktail evening, exploring the picturesque region of Beaune and sample its most famous export, mustard at a local Mustard Museum, sampling the wines and cheeses of southern France, and an exciting live chocolate art show with renowned American visual artist Mark Alsterlind. On board, you’ll be treated to world-class meals prepared by local renowned chefs, complimentary beverages, access to e-bikes, Scenic Tailormade devices for self-guided touring, and more than 26 Scenic Freechoice onshore activities giving you the freedom to plan your own style of holiday and have as much downtime (or food-time) as you like. 13 Day Cruise from only $7,495*pp including return flights to France if booked by 31 August 2018.